Playing at the wedding of Kirsty and Adam was my first visit to Hengrave Hall in Suffolk, and what an impressive venue it is! A very imposing and grand building, I drove up the long entrance driveway and was excited to make my debut there. The weather was a little grey and misty, but this only added to the splendour of Hengrave. I played right up to the start of the speeches. Hengrave Hall was a very grand setting to sing in. 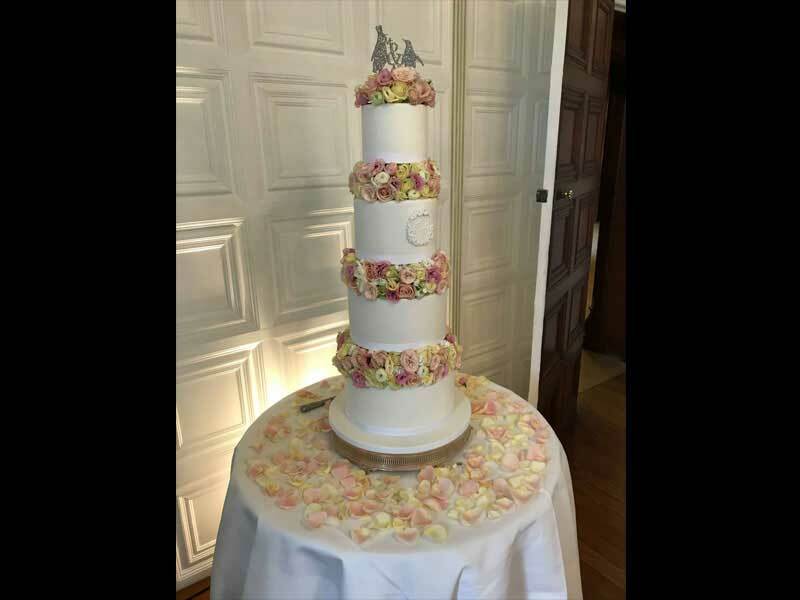 Kirsty and Adam had a fabulous wedding cake. 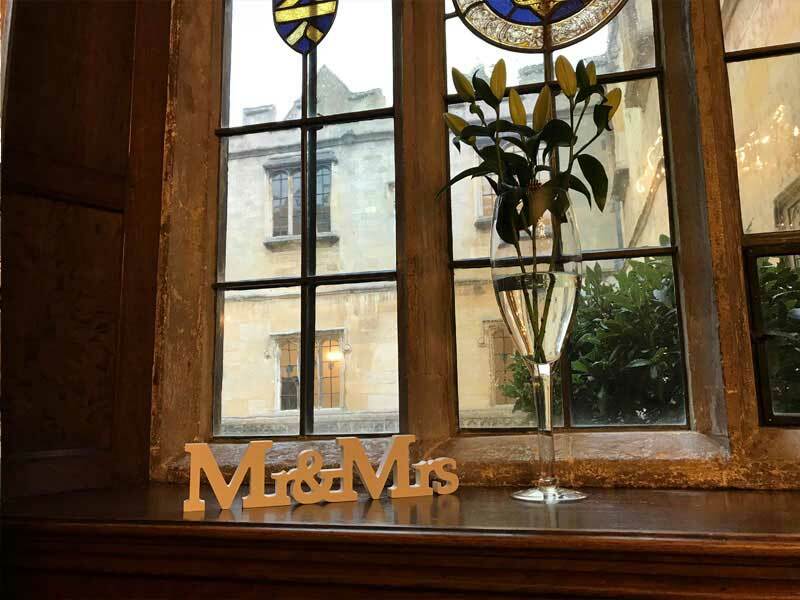 I played for Kirsty and Adam during their afternoon reception drinks and the wedding breakfast. 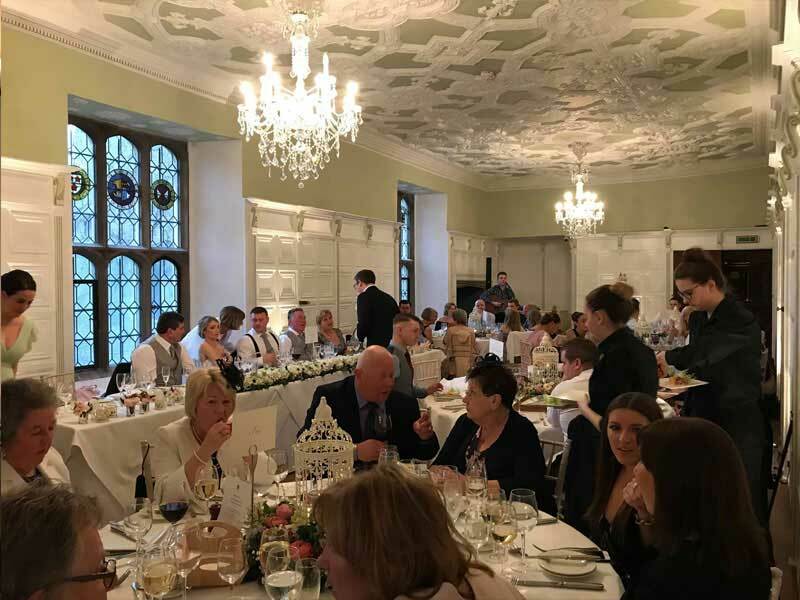 The drinks took place in a beautiful drawing room with hard floors and wood panelling, which was great for the acoustics. The couple had not been very specific about what they wanted me to play for them, and left it to my judgement. 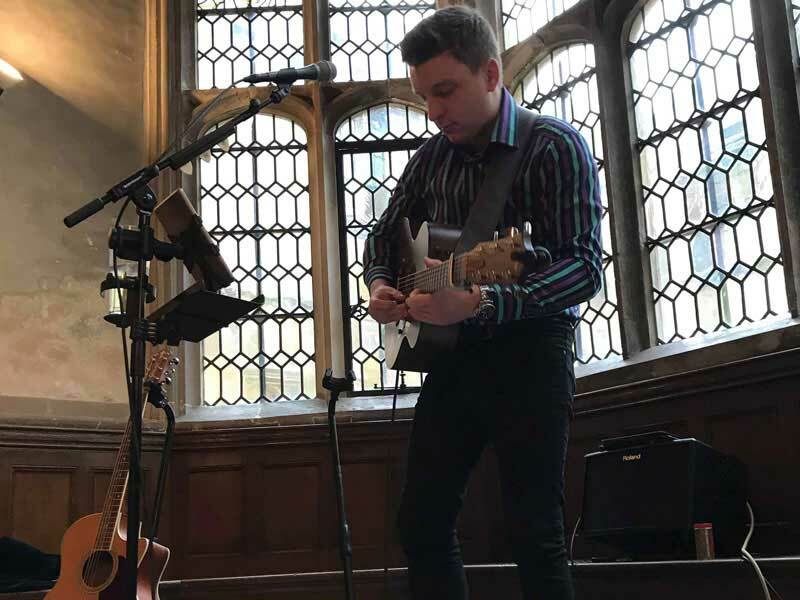 I therefore played a lot of the classic and popular songs that tend to go down well from my repertoire, including tracks by Jack Johnson, Tracy Champion, Ed Sheeran and Jess Glynne. 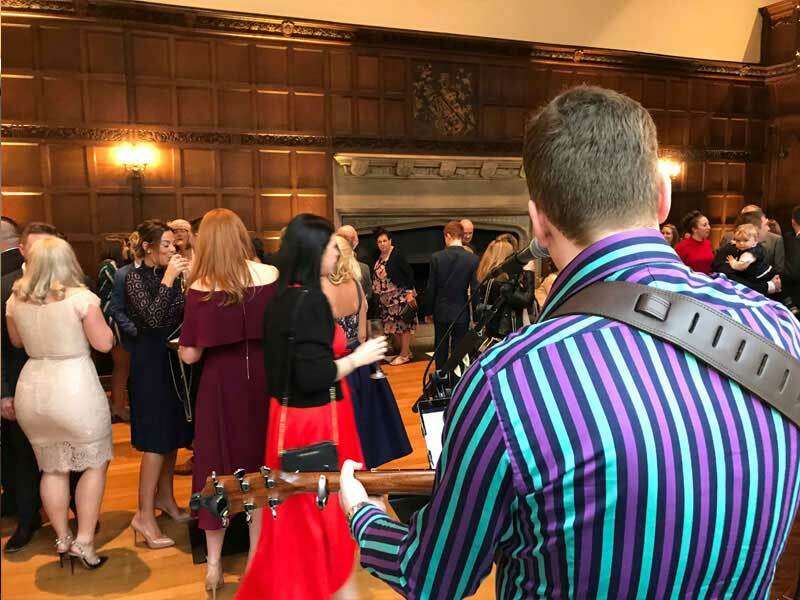 I had been booked to play at the wedding of Kirsty’s sister Lisa at Down Hall in Hertfordshire a couple of years ago, so it was nice to see the family again. 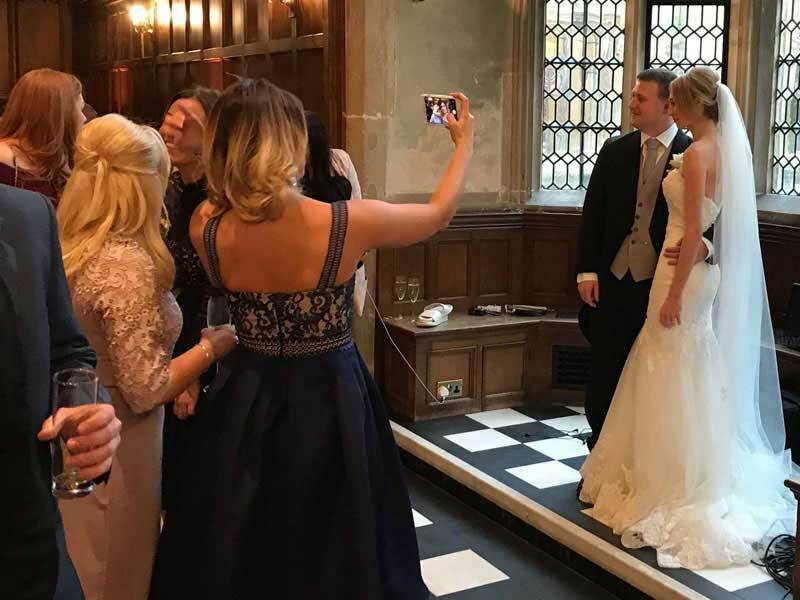 Everyone wanted a photo of the happy couple. The drinks reception area was well-suited to acoustic music. 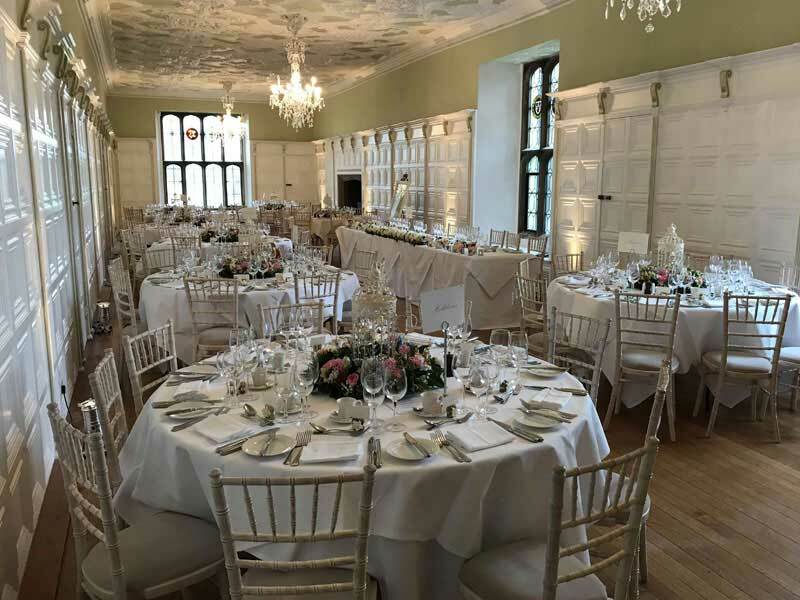 The staff at Hengrave Hall set up the room beautifully for the meal. A wedding is all about the fine details. Once the drinks reception was over, I transferred my equipment into the banqueting hall for my next set. The guests were a lively bunch, so I threw in some of my more adventurous numbers towards the end of the meal, including Craig David and R Kelly. I was positioned right beside Kirsty and Adam’s magnificent wedding cake, which looked very tempting indeed! It was nice to meet some suppliers that I hadn’t come across before, including photographer Julia and You (juliaandyou.co.uk) and videographer Mike Savory (mikesavory.co.uk), both of whom did an excellent job and were great to work with. 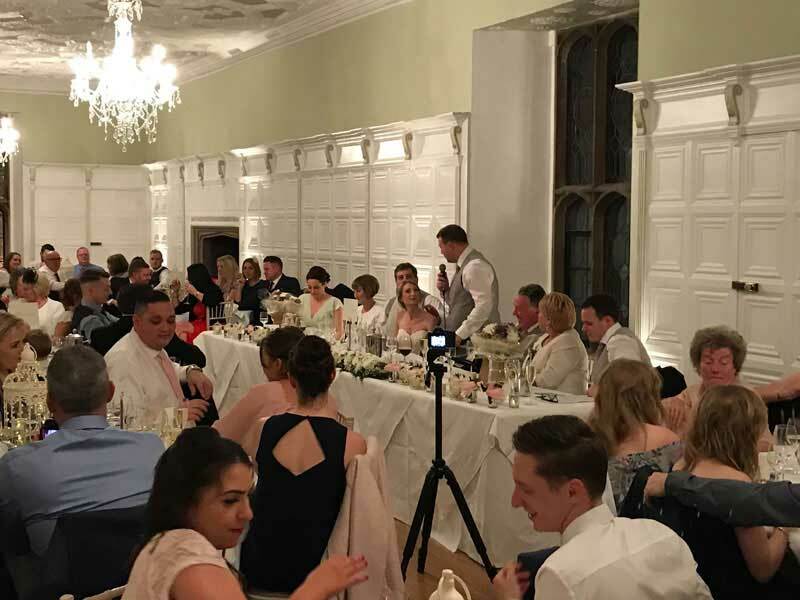 Kirsty and Adam’s wedding at Hengrave Hall in Suffolk was a very classy affair and it was a privilege to be their wedding singer.